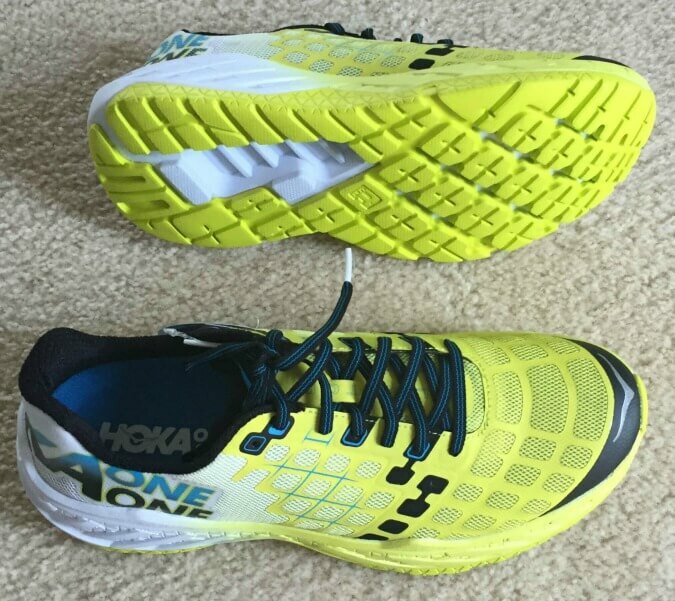 The Hoka OneOne Clayton is a cushioned road performance shoe. 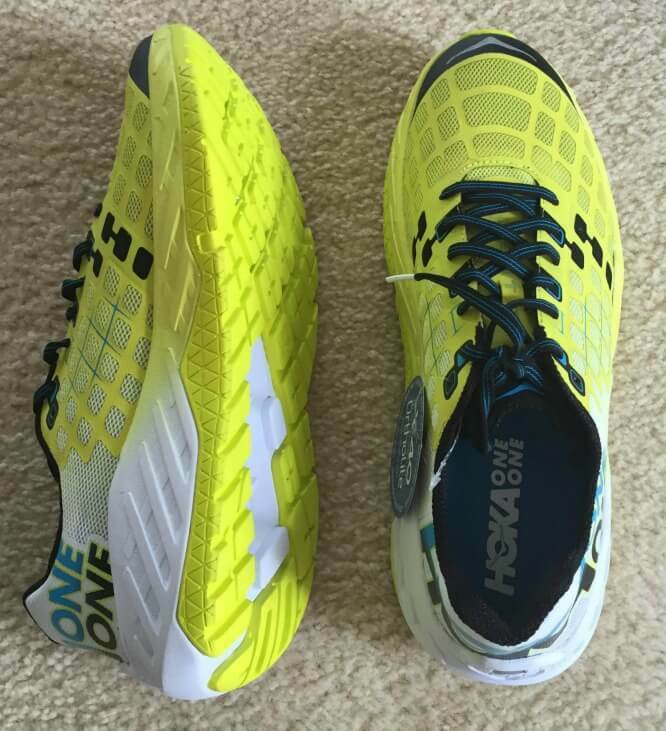 It reminds me of a faster-paced version of the Clifton, which is already a fast, smooth ride. I’ve really enjoyed the 80+ miles I’ve put on them thus far. 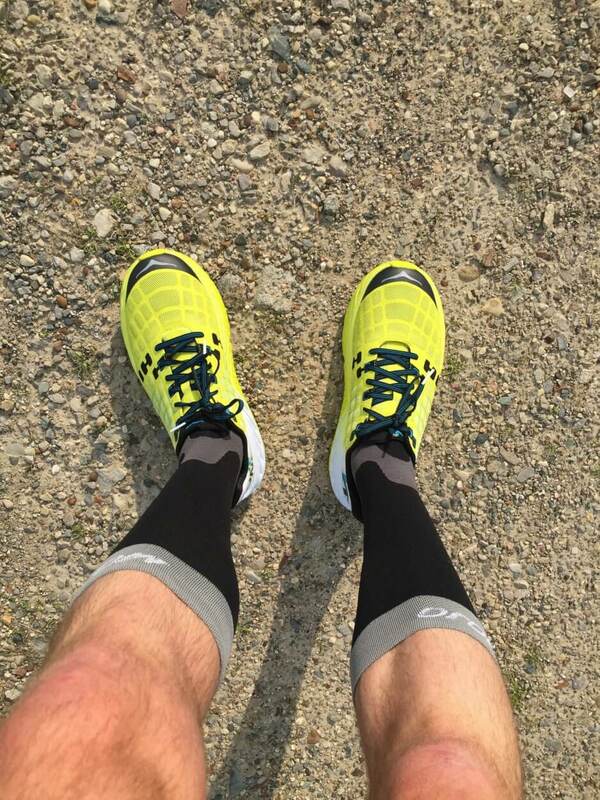 I’ve ran them mainly on roads and sidewalks, but also in light trail, grass, gravel roads, and on a track, and they’ve all felt good. They are light and stable and definitely have the feel of a slightly bulky (but not heavy!) flat. 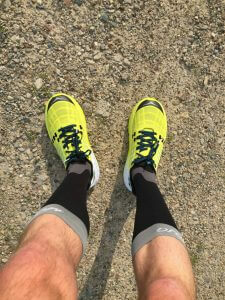 I’ve done at least one road race 5k in them and several speed workouts on roads and they have a great feel. I like that the upper is so this and breathable–which has been especially great as of late during these balmy summer runs. I can’t tell if I liked these more than the Clifton, as it’s been a little while now since running in the other. The Clayton, though, is definitely a solid shoe!